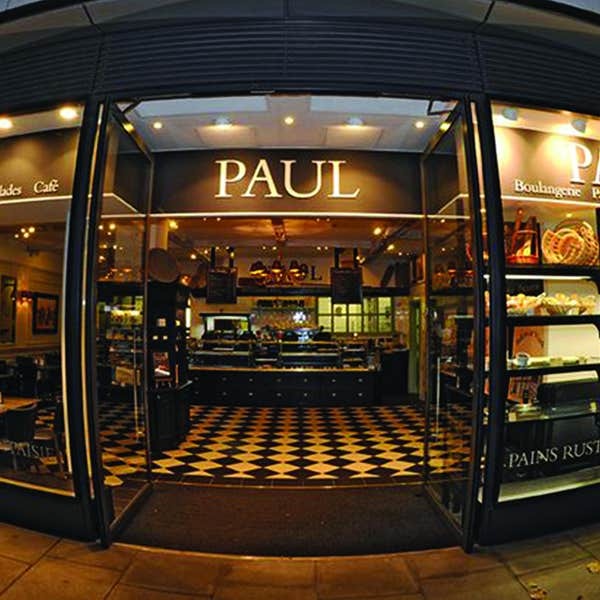 It’s appropriate for a PAUL bakery to be in Baker Street, although in fact the road is named after William Baker, a speculative builder who laid the street out from 1755 onwards on land leased from the Portman Estate. The street’s most famous resident was, of course, Sir Arthur Conan Doyle’s fictional detective, Sherlock Holmes, whose address was 221b. Our Baker Street bakery and café is at number 55, just south of Marylebone Road and a short walk from both Madame Tussaud’s and the Sherlock Holmes Museum, so visit us for a pick-me-up after exploring the local tourist attractions, or just to pick up your daily bread. We make our bread by hand every day in the good old-fashioned way. No doubt Sherlock Holmes would have approved. Nearest stations are Baker Street (Bakerloo Line, Hammersmith & City Line, Circle Line, Metropolitan Line) and Marylebone (Bakerloo Line and national rail services). 58 seats available inside. Terrace with 16 seats. 36 seats in North Atrium from Monday to Friday until 6.00 pm. The café has disabled access and free wi-fi.